DeviceLink profiles perform a direct conversion between input and output color spaces. Color values or color combinations can be protected or individually customized and will only be altered where necessary. DeviceLink profiles compensate many weak points of conversions using ICC output profiles. For example, the DeviceLink allows preservation of the black channel so that text is printed with black ink rather than using four inks. In addition, ink can be saved (SaveInk) and the result can be adapted to the paper white. In proofing iterated DeviceLinks also provide a substantially increased proof quality. CoPrA allows creation of DeviceLink profiles for all combinations of color spaces: Gray, RGB, CMYK and Multicolor. Arguably, the most important applications are conversions of CMYK-to-CMYK, RGB-to-CMYK, CMYK-to-Multicolor and Multicolor-to-Multicolor. DeviceLink profiles thus complement the color conversions of ‘normal’ ICC output profiles and are often used for special applications in order to achieve significantly better results, for example in conversions of CMYK data for various printing processes. ICC printer profiles are needed to create DeviceLink profiles. If you do not have printer profiles yet, you can easily create them in CoPrA (using the tool Printer Profiling from the sidebar). Source Profile: Specifies the source profile for the conversion. Target profile: Sets the target profile. 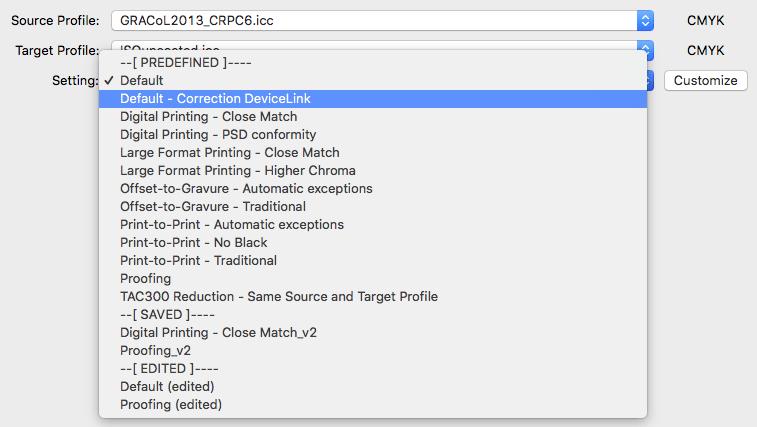 Setting: Select one of the PREDEFINED settings (for example Proofing or Print-to-Print) or an edited setting. Predefined settings can be modified and saved. Customize: Modify the DeviceLink settings to improve profile quality. Allows to specify the Rendering, the Exceptions and the Color Generation. Customized settings can be saved. Note: All profile drop-down menus function like search fields. Simply type in some letters of the desired profile and only those profiles containing these letters will be shown in the list. To select a profile simply click on it. Alternatively you may open the drop-down menu with the little arrow on the right and select a profile from the full list as usual. Setting: Select a suitable PREDEFINED setting for the creation of the DeviceLink profile from the drop-down menu. The names of the presets are based on typical tasks in printing. Default: Start with this preset if none of the other presets match your requirements. Then adapt to your needs. Default – Correction DeviceLink: Default setting for creating a Correction DeviceLink profile. Digital Printing – Close Match: If you want your digital prints to look as similar as possible to the source profile, select this preset. Digital Printing – PSD conformity: For digital prints according to “Fogra ProcessStandard Digital Printing”. Large Format Printing – Close Match: If you want your large format prints to look as similar as possible to the source profile, select this setting. Large Format Printing – Higher Chroma: Results in more colorful large format prints. Offset-to-Gravure – Automatic exceptions: For conversion of offset data into gravure. Exceptions are determined automatically and the separation properties of the source profile are retained. Offset-to-Gravure – Traditional: For conversion of offset data into gravure. Exceptions are predefined and the separation properties of the source profile are retained. Print-to-Print – Automatic exceptions: For offset or newspaper printing. Exceptions are determined automatically and the separation properties of the source profile are retained. Print-to-Print – No Black: Creates a DeviceLink profile without black separation. The exceptions are set so that no black is generated. Print-to-Print – Traditional: For offset or newspaper printing. Exceptions are predefined and the separation properties of the source profile are retained. Proofing: For proofing applications. The rendering intent is set to absolute colorimetric and all exceptions are disabled. TAC300 Reduction – Same Source and Target Profile: To set the ink application reliably to 300% in your print data. Note that the source and target profiles must be identical. Profile settings for Printer, DeviceLink and SaveInk profiling can be selected in the drop-down menu Setting. 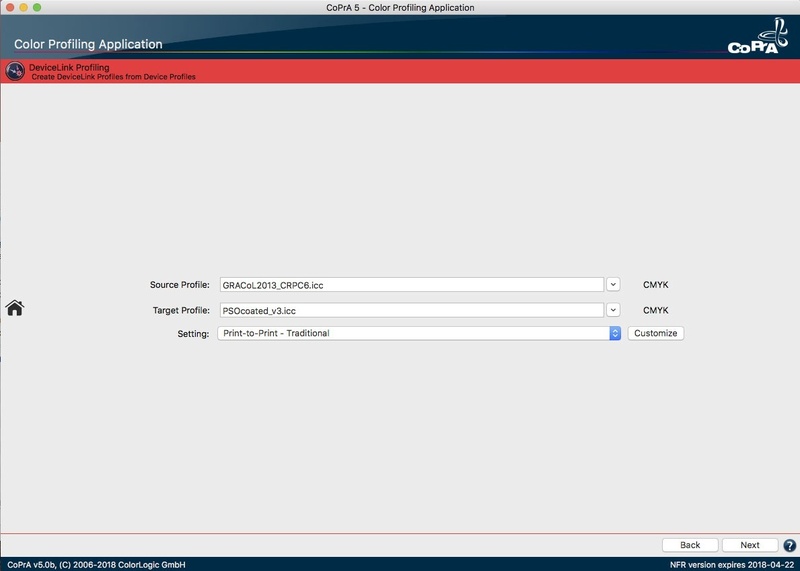 The package CoPrA Basic allows selection of default predefined settings. The package CoPrA M and higher provides access to all the parameters of the profile which can be customized. To adjust these profile parameters, select Customize. Custom settings can be saved, imported and exported which provides the ability to exchange personal profiling settings easily with other CoPrA users or make them available for support purposes. Import setting: Settings can either be imported as configuration file via the Tools menu using the entry Import setting or by dragging an ICC profile with the desired settings on the drop-down menu Setting. The name of imported profiles receives the suffix (imported). If an inappropriate profile (for example an RGB profile for CMYK profiling) is dragged on the drop-down menu Setting, an error message appears. Export setting: Customized profile settings can be selected in the drop-down menu Setting and exported as configuration file by using the entry Export setting from the Tools menu. However, CoPrA's default settings cannot be exported. Standard settings are listed in the drop-down menu Setting under the entry [PREDEFINED] and can be customized, but they cannot be overwritten. After customizing any setting the name receives the suffix (edited). It is now a custom setting which is listed under the entry [EDITED] and thus can be exported. Edited settings can be saved under any name. Saved settings will be removed from [EDITED] and listed under [SAVED]. Saved and edited settings can be deleted manually. Cleanup settings: All settings found under the entry [EDITED] will be deleted. The SmartLink Method in ZePrA allows calculation of the necessary DeviceLink and/or SaveInk profiles for the conversion of PDF files on-the-fly, without the need to create these DeviceLinks in advance. Due to the integration between CoPrA and ColorLogic’s color server ZePrA, profiling settings can be specified in CoPrA which will then define the settings to be used for the calculation of DeviceLink profiles in ZePrA. By enabling Share with ZePrA the settings of the DeviceLink and SaveInk profiles are directly sent to ZePrA where they can be used in configurations right away. Every DeviceLink profile contains exactly one rendering intent. In addition to the standard rendering intents – Perceptual, Relative Colorimetric, Saturation, and Absolute Colorimetric – CoPrA offers six additional rendering intents. The standard rendering intents use the gamut mapping of the source and target profile and cannot be merged. The additional rendering intents, however, can be merged. Chroma, saturation and lightness can be customized for all rendering intents. All this allows to individually adjust the rendering for a specific application. Standard Compression: ColorLogic’s standard method, which is well suited for most applications. Neutral tones are converted using a relative colorimetric approach. If the paper white of the target profile is significantly more yellow than the source profile, the gray axis will look more yellow as well. If the target profile has a smaller color gamut than the source profile, the contrast range will be adapted to avoid a loss of image definition. Black Point Compensation: Use Black Point Compensation to achieve the same results with a perceptive conversion as with “Relative Colorimetric with Black Point Compensation”. When converting from a large to a small color space, the image definition is preserved in the highlights and shadows, unlike with a pure Relative Colorimetric conversion. Neutral tones are converted using the ∫⁄intend. Out-of-gamut colors are cut off. Dynamic Compression: Compares the source color space with the target color space and generates a compression that minimizes out-of-gamut areas. This setting preserves the brightness of the original color space while reducing the saturation, and therefore also preserves the image definition. As for the Standard Compression, the gray axis of the conversion is build relative to the paper white of the target profile. Absolute Compression: This method is based on the absolute colorimetric intent but shows some differences. The contrast range in the highlights and shadows is adapted to avoid any loss of image definition. The rendering of neutral colors is based on absolute colorimetry without paper color simulation in the highlights. If the paper white of the used printing medium is significantly more yellow than the reference, the gray axis will look neutral despite the yellowish paper white. Minimum Compression: This method is largely similar to the absolute colorimetric intent and only compensates close to the black and the white point. Maximum shadow contrast will be achieved and image definition will be preserved while the paper white will not be simulated. Use this rendering intent if you would like to achieve a very close reproduction, for example when using print standards like ISO Coated V2 or GRACoL2006 Coated1v2 on a digital printer. Note: As for the absolute colorimetric rendering intent, ensure that the target color space is larger or has at least a similar size to avoid any loss of image definition. For color conversions from larger to smaller color spaces use Absolute Compression to maintain the gray balance of the source color space. Minimum White Compression: Is similar to Minimum Compression. Both rendering intents compress the white point without paper simulation, however, there is an important difference: The Minimum Compression is a rather perceptual rendering that additionally compresses the black point so the maximum dynamic range is utilized without loss of detail in the shadows. In contrast, the Minimum White Compression compresses the white point but not the black point, so a close match between source and target color spaces can be achieved. This can be useful for the color representation across various media, color matching or printing on slightly differing media. It can be regarded as close to absolute colorimetric rendering. Merge: Use two rendering methods, merge them in defined proportions when creating the DeviceLink profile. 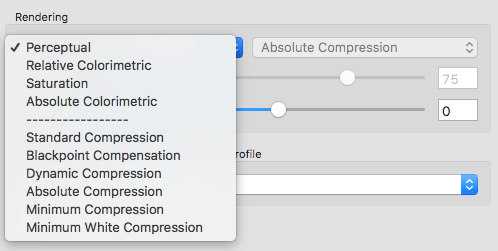 For instance, choose the combination Standard Compression (1st selection, left) and Absolute Compression (2nd selection, right) and set the Merge slider to 75, the corresponding proportions of the two rendering methods are used in the DeviceLink profile when converting files. In this example, the gray axis would be 75% adapted to the paper color, without paper color simulation in the highlights and with a simultaneous adaptation of the contrast range in the highlights and shadows. Advanced Rendering Options: The drop down menu allows changes to the overall Chroma, Lightness or Saturation of the profile using a slider. Chroma can be used to reduce or increase the chroma of highly saturated colors in the range between -20 and +20. Saturation can be used when highly saturated colors are required. As with Chroma, the gray balance is not affected when moving the slider. Saturation can be used especially for large color spaces such as gamut extending Multicolor in order to achieve more brilliant colors. 1. ColorLogic intentionally keeps the chroma effect moderate. However, when increasing the chroma, ensure that the setting neither causes a loss of image definition in highly saturated colors or adversely affects colors such as skin tones. 2. The effect of each of these settings is shown in the gamut graph on the right. Increasing the saturation results in higher chroma and lower lightness, so more saturation will slightly darken the colors and they will appear more vibrant. In contrast, more chroma can result in high chroma colors being out-of-gamut and these colors would not be rendered by the given profile. Gray Balance: Allows adjustment of the gray balance to create a cooler or warmer gray axis. cooler shifts the gray balance towards more bluish colors (negative b* values), warmer shifts it towards yellowish colors (positive b* values). The effect of the slider setting is visualized in the graphic. Note: The setting Gray Balance works independently from the selected Rendering and allows visual adjustments based on personal color preferences. Incorporate a correction into a DeviceLink profile by using an additional profile, such as an edited DeviceLink or an abstract profile. The additional profile may contain a selective color correction in a certain color range or specify a change in the gradation tonalities. The additional profile will be included in the calculation after the source profile is linked to the target profile. The Modify color appearance with additional profile represents special situations, therefore the setting None should be selected in most cases. Note: Further information about the creation of edited profiles can be found in the section DeviceLink Editing. The proper choice of exceptions in DeviceLink profiling can sometimes be an art in itself and ensures hue-accurate, pure and saturated colors as well as print optimized color behavior, for example when overprinting. In order to facilitate this choice, the tab Exceptions contains an option for the automatic selection of the most appropriate exceptions for the selected source and target profiles. Here, different kinds of calculations for color rendering, color distances, device color differences as well as empirical values regarding the preservation of color purity will be combined. To activate this function, select the mode Automatic. After a short calculation time recommended exceptions are either enabled or disabled. All automatically identified exceptions are grayed out. Exceptions that are not implicated are not grayed out and can be activated or deactivated manually. This makes it much easier to choose exceptions appropriately. Note: We recommend enabling the automatic selection of exceptions for the creation of DeviceLinks by default in order to obtain a good preselection. If you prefer to select exceptions manually or if you would like to adjust the automatically determined settings, select the mode Custom. If you have manually selected exceptions or a DeviceLink preset and then switch to Automatic, previous settings will be overwritten. Exceptions are used to specifically influence color conversions of special colors. If source and target colors in a color conversion are identical the colors will be linearized. If the color spaces differ, the colors will be optimized and adapted. Exceptions ensure that special properties of colors remain unchanged. The choice of appropriate exceptions thus allows a precise color conversion of specific colors. Exceptions preserve the properties of the input colors (for example using a single color channel for primary colors or two color channels for secondary colors) and calculate the best possible combination to minimize related color errors. All color patches that are affected by the selected exception are highlighted in the graphical representation by a red border. If you move the mouse pointer over a color patch it is emphasized by a black or white border and the values of the source and target color space are displayed. Press the “Alt” key on your keyboard to capture the color patch allowing you to check quickly and easily whether it is affected by an exception. Exceptions which are not available are grayed out. This may be the case when a dependency between exceptions exists, or when exceptions are not relevant for a specific color space. Triplex (two primary colors plus black): Optimizes the color conversion of a secondary color (for example, blue: cyan plus magenta) plus black by preventing color contaminations. Triplex colors are recalculated during the conversion but remain triplex colors in the target profile. Therefore, if you have a dark shade of blue, like 100C 60M 50K, and you would like to convert it to the most suitable blue represented in the target color space consisting only of cyan, magenta and black, the exception Triplex must be activated. The exception Triplex includes the exception Duplex and therefore also the exceptions Primaries, Secondaries, Gray and 100% Black. Duplex (a primary color plus black): Optimizes the color conversion of a primary color (cyan, magenta or yellow) plus black by preventing color contaminations. Duplex colors are recalculated during the conversion but remain duplex colors in the target profile. The exception Duplex includes the exceptions Primaries, Gray and 100% Black. Gray: Protects the single-color structure of Black from 0 to 100%. This exception includes the exceptions 100% Black and White. For RGB DeviceLink profiles Gray ensures that the gray axis is composed of equal RGB value proportions. For a conversion of an RGB source profile into a CMYK target color space, Gray ensures that the RGB gray axis is created by black only. 100% Black: Protects 100% black, so 100% K remains 100% K and will not be supplemented with or replaced by CMY. For a conversion of an RGB source profile into a CMYK target color space 100% Black ensures that an RGB black of 0, 0, 0 is converted to 100% black. For example, this allows you to prevent a pure black RGB text from being composed of four colors in the CMYK profile after the conversion. 100% C,M,Y: Protects cyan, magenta and yellow. The 100% values of C, M and Y are retained after the color conversion at 100%. 100% R,G,B: Protects pure red, green and blue. The 100% values of red, green and blue are retained after the color conversion at 100%. Red will therefore still be formed with 100% magenta and 100% yellow. Max. C,M,Y: Creates a maximum saturation of primaries. This function can be used independently of the protection of primaries and secondaries. Example: If 100C would be converted to 80C + M + Y, activation of this exception ensures that cyan is now converted to the maximum value, which means, C is set to a value higher than 80, i.e. a value between 80C and 100C, depending on what is achievable in terms of maximum saturation while contaminating color proportions are adjusted color corrected. Note: If the exception Primaries is selected as well, the exception Max. C,M,Y is grayed out while the exception 100% C,M,Y is activated instead, as in the case of a purity protection of primaries the maximum value is 100%. Max. R,G,B: In CMYK color spaces ‘R, G, B’ corresponds to the color combinations MY, CY and CM. When activated, the higher color value is set to 100% while the second color value is optimized colorimetrically. This function can be used independently of the protection of primaries and secondaries. Example: If a pure 100% red (100% M+Y) would be converted to 95% M and 90% Y in a conversion with pure secondary colors, activating the setting Max. R,G,B increases the color red to maximum saturation, like 100% M and 95% Y. However, if you require that 100% red remains 100% red in the conversion, use the setting 100% R,G,B. Note, however, that this might not be the best colorimetric value. Max R,G,B, on the other hand, calculates the best color correct value with the highest level of saturation. Primaries: Protects the single color structure of primary colors. Calculates the Lab value of a primary color of the source profile and searches for the best matching primary color value in the target profile. For example, 40C might be converted to 53C but the single color structure remains. If this exception is not enabled, primary colors of the source profile may be contaminated in the target profile. The checkboxes C, M and Y allow protection of individual primaries. Here, optimized transitions are calculated which gently extend into adjacent color areas in order to avoid hard edges. The slider Tolerance allows to specify how far adjacent color areas are included. Note: Enabling this exception does not preserve the 100% values which means that 100C might be converted to 98C. If you would like to conserve the 100% values in the target profile, enable the exception 100% C,M,Y. In case of a conversion of an RGB source profile into a CMYK target color space, Primaries ensures that the primary colors C, M and Y are kept pure. Adapt TVI to source profile: This exception is important when tone value increases of primary colors needs to be preserved precisely. An application example would be a predefined printing standard that needs to be printed on a different paper while the used target profile featured a different tone value increase. The exception Adapt TVI to source profile allows creation of a DeviceLink profile which corrects the tone value increases of the target profile to meet the requirements of the printing standard (from the source profile) precisely. Secondaries: Protects the two-color structure of secondaries. Calculates the Lab value of a secondary color of the source profile and searches for the best matching secondary color value in the target profile. For example, 40C 100M might be converted to 41C 97M but the two-color structure remains. If this exception is not enabled, secondary colors of the source profile may be contaminated in the target profile. The checkboxes MY, CY and CM allow protection of individual secondaries. Here, optimized transitions are calculated which gently extend into adjacent color areas in order to avoid hard edges. In case of a conversion of an RGB source profile into a CMYK target color space, Secondaries ensures that the secondary colors MY, CY and CM are kept pure. Black overprint: Protects 100% black as additional layer above a CMY background: CMY values are minimized but colors are calculated correctly and changed as little as possible compared to the original. White: Protects the paper white. This is especially useful when you would like to achieve an absolute colorimetric simulation for proofs without a simulation of the paper color (e.g. for aesthetic reasons). Is available only if Absolute Colorimetric is selected as Rendering intent and Proofing as a Setting. 400% Black: Protects 400% Black: Even when a lower Total Amount of Color (TAC) is selected in the tab Color Generation, a color value of CMYK = 100%, 100%, 100%, 100% is maintained. 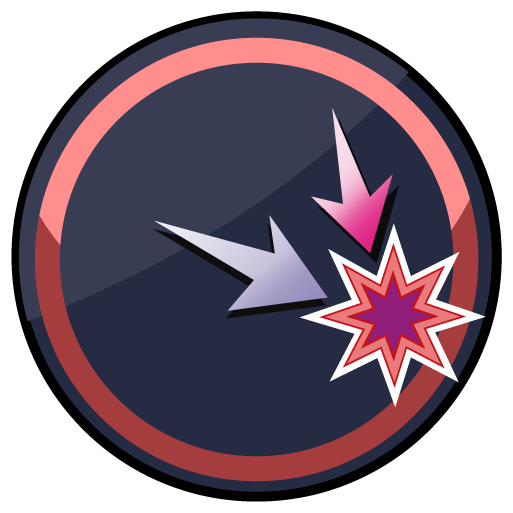 Border Clipping: Percentage values close to zero will be set to 0% and key values close to 100% will be rounded up to 100%. This results in pure tones which no longer need to be screened in printing. 400% Black to Pure Black: 400% inks will be converted to 100% black, so CMYK = 100%, 100%, 100%, 100% will be converted to CMYK =0%, 0%, 0%, 100%. In flexo printing, the first printed tone is often subject to a rather high tone value increase. Additionally, in some flexo printing processes, there is no transfer of tone values below a certain percentage in the highlight areas. However, the simulation of those process properties is particularly important for proofing applications to truly simulate the final print result in the highlights. It may also be necessary to increase the tone values in the highlights when using the profile for production or separation. For that reason, CoPrA has six settings to adjust the Highlights when creating DeviceLink profiles. 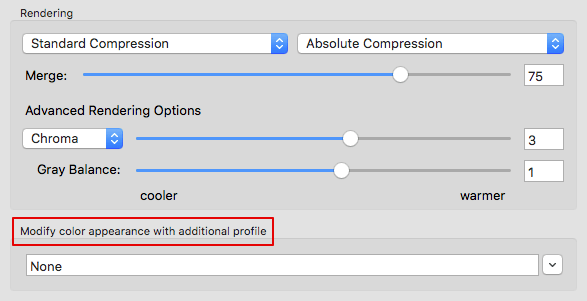 These settings specify when the First Printed Tone in the profile is recognized and appears in the proof (hard or soft proof) or how high the tone value prints at 1%. This ensures that your proof matches your printout. Analogically, when a profile is used for separation which was created with a value of 3% for the first printed tone, small tonal values will be raised to 3% to be printed reliably. By selecting a setting for the first printed tone you can determine whether the created DeviceLink is intended for Proof or Production. Default: Ensures ‘normal’ profiling behavior in highlight areas. Use this setting for all printing processes that don’t require any adjustment of the first printed tone. First Printed Tone (Production, Preserve 0%): The paper white remains unaffected. Small tonal values will be increased to the entered percentage to be printed more reliably. The purity of colors set in the tab Exceptions will be preserved. This may result in hard edges. First Printed Tone (Proof): Use this setting to specify when the first printed tone will appear. For example, if you enter 3% for the first printed tone, no tonal values will be printed from 0 to 3%. Color values will start only from 3%. Printed Tone at 1% (Proof): This setting defines the tone value to be reached at 1%. It is popular for proofing but can be used for production applications as well. First Printed Tone (Production, Preserve White): The paper white remains unaffected. Low tones will be increased to the entered percentage throughout the separation to be printed more reliably. The settings defined in the tab Exceptions are not retained as a tone is composed using all channels. This reduces hard edges. First Printed Tone (Production, Minimal Tone): The paper white will be replaced by the set tonal value in all channels throughout the separation.The settings defined in the tab Exceptions are not retained as a tone is composed using all channels. This reduces hard edges. The rendering intent Absolute Colorimetric is often used in proofing in order to determine how printed colors will be affected by the color of the paper. It is important to point out that a dependency exists between the exceptions Gray and White when selecting the setting Proofing and the rendering intent Absolute Colorimetric in CoPrA. 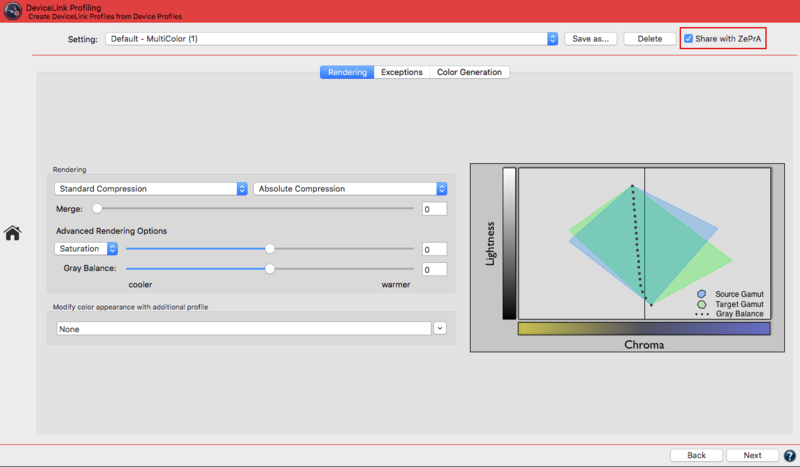 When creating DeviceLink profiles using the rendering intent Absolute Colorimetric the simulation of the paper color will be prevented when the exception Gray is activated. The use of these exceptions in combination with the rendering intent Absolute Colorimetric is contradictory and therefore not recommended. 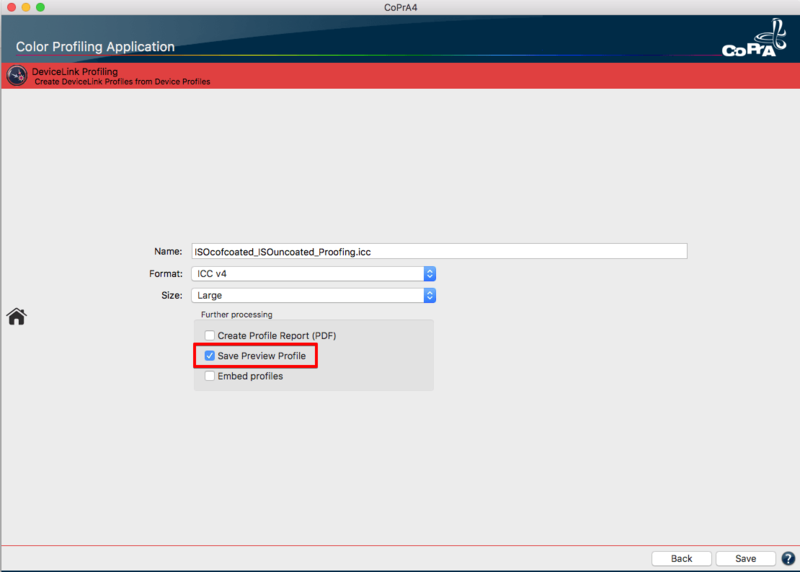 For this reason, all exceptions are disabled by default when the setting Proofing is selected in CoPrA. In order to make this dependency even clearer, the exceptions White and Gray are linked to each other. When an exception which is connected to Gray (e.g. Duplex or Triplex) is activated, the exception White will be disabled and grayed out automatically. Note: Please note that the exception White is only available when Absolute Colorimetric is selected as Rendering intent. The exception White ensures that paper white is not simulated which is especially useful when trying to achieve an absolute colorimetric simulation for proofs without a simulation of the paper color (e.g. for aesthetic reasons). Multicolor Mode: Determines how colors will be built up in individual separations. Is only available when a Multicolor target profile has been loaded. Note: A Multicolor license is required to use Multicolor features. In CoPrA, the first three channels represent primary colors (usually CMY). They should form a sound color space (gamut) and should also be able to create a gray axis. The fourth channel should be black if a separation with UCR/GCR is desired. If black is absent in the Multicolor measurement data while automatic Black Calculation is selected, it will be recognized by CoPrA and the separation will not be generated. Black separation is disabled if the value for Max. Black in the Black Point and TAC setting is 0%. Additional spot color channels (e.g. Orange, Green or Violet in a CMYK-OGV 7 color data set) are regarded as color space expanding colors. The Multicolor Mode determines how color space expanding colors are factored in together with primary colors. Strong: As much spot color as possible will be applied. Accordingly, fewer primaries will be used in the highly saturated color areas. This results in a greater use of color space expanding spot colors and therefore in highly saturated colors in the printout. Smooth: Is the default setting and should remain unchanged if a particularly smooth and harmonious separation with still saturated colors is required. Note: The two Multicolor modes Smooth and Strong are similar but Smooth uses less color space expanding spot color channels. Smooth – with special colors and Strong – with special colors: These two Multicolor modes are designed for applications in industrial printing, such as ceramic printing, in which the main colors are supplemented by additional light (e.g. Pink) or dark (e.g. Brown) color space expanding colors. They are an enhancement of the existing Multicolor modes Smooth and Strong, however, they also use additional colors that are not commonly used. For example, the additional color pink is used with a darker magenta in magenta gradations. Here, pink is used in light areas while magenta is used in dark areas. The gray balance of these two Multicolor modes shows additional channels as bright or dark colors are incorporated into the gradations and gray balance curves. These two Multicolor modes also support light inks in profiling, such as light and dark magenta. In principle, light and dark colors should be processed in the printer or RIP (Raster Image Processor). If they are not pre-processed by the RIP they require particularly large test charts for profiling. It is also possible to combine light gray with black which in some printing processes like Flexo printing can mask noticeable artifacts in the highlights. However, appropriate test charts have to be used. Generate separations with sparse inks: Is of interest for the packaging market as color separations are created in such a way that a certain hue uses as much as possible of a related spot color and very little or no primary colors. For example, in order to create a red color as much as possible of a reddish spot color is used but very little to no magenta or yellow. A maximum of two or three colors are used for each color segment and, therefore, this Multicolor mode is practical to save process colors. However, black generation cannot be controlled and is based on the (separation) mode MaxK. Note: In contrast to the Multicolor modes Smooth, Strong and Use CMYK only, the Multicolor mode Generate separations with sparse inks does not allow regulation of the Black Generation. Accordingly, these settings are grayed out. Use CMYK only: Selecting this method results in a Multicolor DeviceLink profile that creates the desired number of channels (e.g. 7 channels) but is only composed of CMYK. The color space expanding spot color channels are not used for the separation. In package printing there is sometimes a request for images and vectors composed of CMYK to be generated with only minimal changes to CMYK values and without spot colors – despite conversion into a Multicolor space. In this case, only spot colors, like Pantone colors, which are present as DeviceN in the PDF should be converted into the large Multicolor space. Such a workflow is possible in two easy steps: (1) Creation of a separation-preserving CMYK-to-Multicolor DeviceLink profile in CoPrA using the Multicolor method Use CMYK only. (2) Spot color conversion of the PDF using ColorLogic’s color server ZePrA. 2. In CoPrA all setting concerning the Color Generation (i.e. the entire tab) depend on black being present in the measurement data. This also applies for Exceptions. All Exceptions concerning black (Gray, Black, Duplex, Triplex, Black overprint) use black as fourth channel, therefore, black must be present in the measurement data or ICC profiles as fourth channel. If black is not present in the measurement data as fourth channel, this channel will be treated as if it were the black channel. As an example, if blue is present as fourth channel, then all settings in the tabs Color Generation and Exceptions will still treat the fourth – now blue – channel as black channel. In this situation, spot colors can be used for the calculation of the gray balance and the black point, which may not be desirable. Preserve color properties: Is only available for Multicolor-to-Multicolor DeviceLink profiles which comprise the same number of channels for source and target profiles. This Multicolor mode allows to set Exceptions for all Multicolor channels rather than CMYK portions only. Note: Exceptions for Primaries affect all channels when using the Multicolor mode Preserve color properties. The exceptions for Secondaries keeps all two color combinations pure, not only those with CMY portions. Target Profile: Uses the black separation of the target profile. UCR: Allows adjustment of the settings Black Start and Black Width. GCR: Additionally allows the adjustment of the setting GCR Amount. MinK: Only uses a minimal amount of black and generates a separation using the maximum amount of CMY. MaxK: Uses a maximal amount of black and generates a separation using the minimum amount of CMY. Is only available with a SaveInk license. The methods UCR, GCR, MinK and MaxK generate a new separation, regardless of the separation of the target profile. Preserve Separation: Preserves the ratio between the black channel and CMY composed black. Preserve Black: Linearizes the black value of the source profile and retains the black channel. Save Ink: Replaces CMY colors by black to save CMY inks. This setting is only available with a SaveInk license. Preserve 0% Black: Is available when the mode Preserve Separation has been selected. It prevents the generation of a black channel in source colors without black. This is important for some overprint applications. Enhance Shadows: Is also only available when the mode Preserve Separation has been selected. Prevents detail losses in dark colors and weak shadows. 1. The black generation mode Preserve Separation is especially important for the conversion between two CMYK color spaces, because it ensures that the ratio between CMY and black which is used to generate gray is maintained in the color conversion. 2. When the mode Preserve Separation is selected, Enhance Shadows should always be enabled. GCR Amount: Defines the amount of CMY that is replaced by black. At 0 only a low GCR amount is used which mainly impacts the shadows whereas at 100 a very strong GCR is used which effects the shadows and the highlights. Black Start: Defines the starting point for the black generation. Black will be used if the minimum amount of C, M, Y exceeds this limit. Black Width: Defines the range in which black is generated outside the color-neutral area. The lower the value the less black will be generated outside the color-neutral area. Used Channels: Defines the channels to be used in a profile and offers a quick and easy way to select or exclude channels when separating data. The effect of selecting or excluding colors on the curves is immediately visualized in the Graphic. Note: If the Black Calculation is set to Target Profile, the black point is preset by the profile and the function Used Channels is deactivated. By default all colors of the profile are enabled. To exclude a color click on the appropriate colored box. Multiple colors can be excluded. Excluded colors will be grayed out and marked with an X. 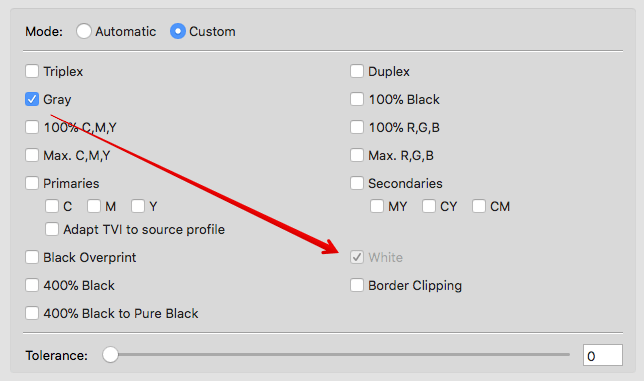 To enable an excluded color simply click on it again. Note: This function is particularly intelligent for Multicolor profiles, as it searches for replacement colors in the Multicolor channels when excluding a channel (e.g. Cyan), which can compensate for the missing channel in the gray balance. The alternatively calculated Multicolor channels are displayed grayed out in the panel Black Point and TAC (further information can be found in the toggle Black Point and TAC). Example: If a brown chocolate artwork is intended to be printed in CMYK without using any Cyan in the separation, a CMYK printer profile can be created which only uses MYK. These types of profiles avoid unwanted Cyan dots in the separation and the converted artwork would appear visually close to a conversion with a complete CMYK profile. Obviously such a profile should not be used if the artwork contains Cyan based color combinations, such as cyan tones and blue or violet colors. Graphic: Visualizes the effects of the selected color separation and Black Point settings. Provides a real time preview of the loaded measurement data when altering settings. Controls the transition to black. If black exceeds the limit, CMY colorants will not be modified and black is linearly added. Up to the specified value, black will be calculated accurately. A value of 0% indicates that only CMY will be converted whereas black will be linearized. If a proof requires an exact colorimetric reproduction the slider should be set to 100%. 80% is a good value to achieve a smooth transition in the shadows. We recommend activating the checkbox Auto. In the panel Black Point and TAC you can define the overall Total Area Coverage (TAC) and the TAC for the black point (Black TAC). The black TAC represents the darkest color value of the profile which is usually identical with the maximum TAC. The graphical display of each color contains a number field showing the amount of ink used in the profile. Depending on the selected Black Calculation the number fields are either enabled or disabled. Black Calculation: Four different settings available for DeviceLink profiling (see screenshot below). Auto: The calculation of the optimal black point (dark and neutral) is based on the measurement data. The values entered for Black TAC and Max.Black define limits which are not exceeded but may be lower if technically possible. All channels are used to generate the black point (Black TAC), therefore individual channel editing is disabled. This mode will not use any Multicolor channels beside the first four channels (usually CMYK). Note: If no default value for the Black TAC is defined, it is recommended to use 400% as a starting point for the calculation. Balance CMY: This setting adapts the CMY values to a pre-defined Max.Black value and generates a neutral black point. Define the Black TAC and TAC in accordance with the printing conditions. The Max.Black should be set to the ideal value for your substrate. Similar to the setting Auto those values are regarded as maximum values which may be underrun if a neutral black point is not achievable. Allows customization of the black channel (or in general the 4th channel) and the addition of Multicolor channels. 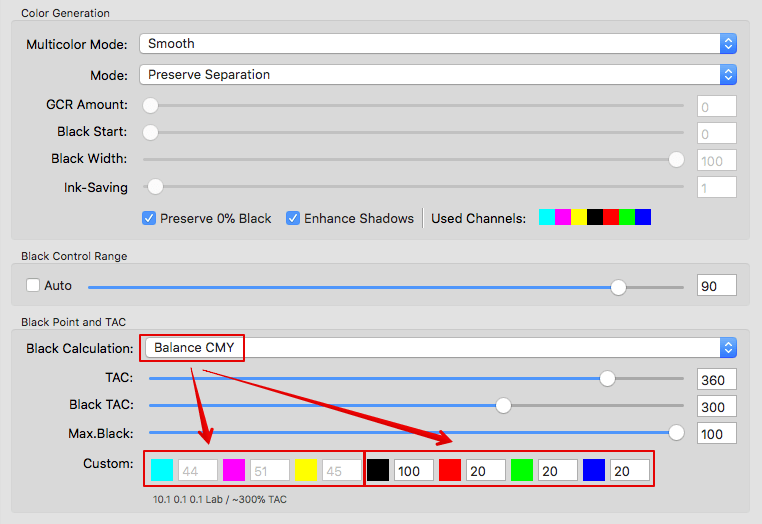 Note on excluding channels: Basically Balance CMY allows editing of the black channel (or in general the fourth channel) and the Multicolor channels. The CMY channels are grayed out (see screenshot). However, if a channel is excluded, the Multicolor channels are searched for a replacement color that can compensate for the missing channel in the gray balance. The replacement Multicolor channels are grayed out in the control panel Black Point and TAC (see screenshot). 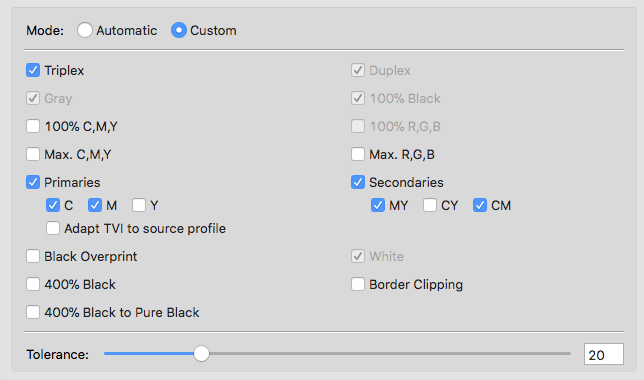 Custom: Allows to define the black point in the input box Custom as CMYK values. The Black TAC value will then be recalculated. Allows editing of all channels. CoPrA calculates the Lab values based on the entered custom values. When changing custom values the resulting effects can be seen immediately. If you prefer CoPrA’s recommendations select the settings Balance CMY or Auto. 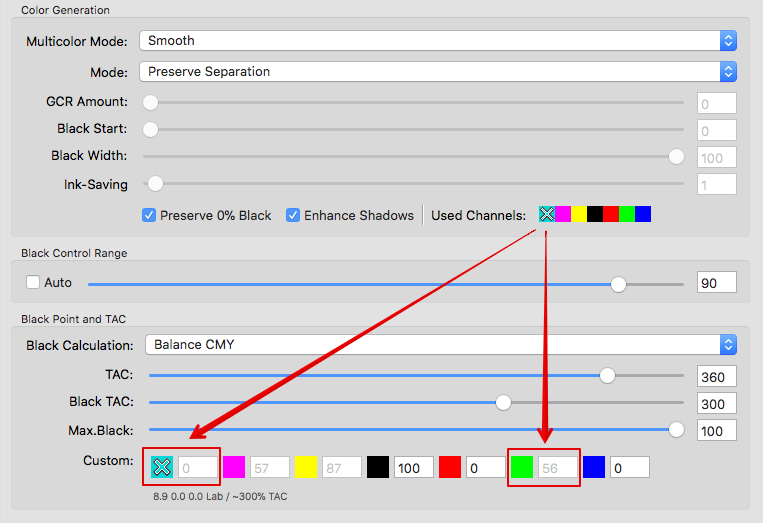 For Multicolor profiles with more than four channels you can use the extra Multicolor channels for the black generation besides the first four channels (typically CMYK). However, the total area coverage (TAC) cannot exceed 400%. 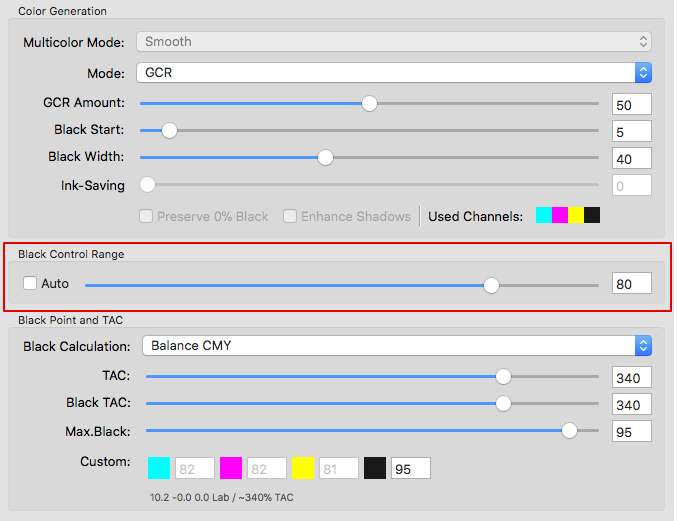 Values for the Multicolor channels can be entered manually when using the settings Balance CMY or Auto and these values will then be used to calculate the Black TAC. Usually it is not necessary to use those channels but sometimes a dark Multicolor channel adds desired contrast and definition. This can easily be checked by viewing the Lab values below the Custom fields. If the addition of a certain Multicolor channel decreases L* while a*b* values are not significantly altered, using this channel can be considered. However, the gray balance will use additional channels as well. Note: Neutral a* and b* values are the basis of the Black Calculation when selecting the settings Auto or Balance CMY. In contrast, selecting the setting Custom allows generation of a black point without neutral a* and b* values. Target Profile: Calculates a black point based on the values of the target profile. The values for the calculation will be displayed and all sliders will be grayed out. Many modern printing systems allow a black point that is generated by using a low amount of ink. Sometimes the darkest color can be printed using pure black which means in extreme cases a black point of 100% K may be sufficient. Obviously, such a low TAC does not work for other color areas – it would not even be possible to print a true red, green or blue! Therefore we separated the Black TAC from the general TAC. This allows use of the best setting for Black Calculation without restricting the color space. TAC: Defines the value for the maximum total area coverage (value range: 0 to 400%). This value will not be exceeded. This also applies to Multicolor profiles. Note: The sliders limit each other, so the TAC can never be lower than the Black TAC (but it can be higher). Black TAC: The value for the black point (Black TAC), which results from your settings, will be displayed after a short calculation time below the text box Custom (outlined in red in the screenshot below). The Lab value is particularly handy for assessing the effect on the black point when changing the TAC or Black TAC. The smaller the L* value, the deeper the black and the higher the contrast. Max.Black: Defines the maximum amount of black ink to be used (given by the separation) (range: 0 to 100%). The total area coverage (TAC), defined by the separation, and the black TAC are identical in traditional printing systems, however, industrial printing applications and many digital printing systems show that the black point can be selected much lower than the total area coverage. To achieve a sound gray balance with a high contrast while maintaining highly saturated colors it is necessary to separate these two settings. The importance of adjusting the Black TAC independently from the total area coverage (TAC) is demonstrated using a digital printing system. Let’s assume the Black TAC and the TAC could not be set separately and we had to use identical values for both of them. If you selected the mode Auto to calculate the black point and set a TAC of 300% (and therefore a Black TAC of 300% as well), CoPrA would calculate the best black point for this case. The result would be a total area coverage of 275% with a neutral black point (a* and b* are 0 respectively), but with a very light L* of 22.0 (outlined in red in the screenshot). However, CoPrA allows to set the Black TAC separately from the total area coverage (TAC). As pure black is used in some digital printing systems as the darkest printing color, the Black TAC can be reduced to 100% which results in a black point with a significantly darker (lower) L* value of 9.8. Using a separate setting for the Black TAC achieves a significantly higher and better contrast than a TAC which is linked to a Black TAC of 275%. Additionally, a total area coverage (TAC) of 300% ensures highly saturated colors. These precise settings are only possible with separate TAC values. In the last step of profile creation, assign a Name and choose the Format and Size of the profile (see screenshot). Name: Type in a Name for the profile. Format: Define the Format of your profile. An ICC format in accordance with specification v2 is recommended as basic setting however, the newer format ICC v4 can also be chosen. In this case, please ensure that your programs support this format. Note: ColorLogic products handle and use ICC v4 profiles consistently and correctly. Size: The setting Large is recommended. The size specifies the number of grid points in the profile and determines the amount of disk space required for the generated profile. Small profiles should only be used for test purposes. Very Large profiles can slow down further processing in subsequent programs. Additionally, some programs are not able to handle very large profiles. Create Profile Report (PDF): Recommended to activate. The PDF report provides an overview of the quality of the profile based on statistics, diagrams of gray balances, gradients and gamut representations as well as color separations of converted test files. Save Preview Profile: Is only available in Multicolor printer profiling. 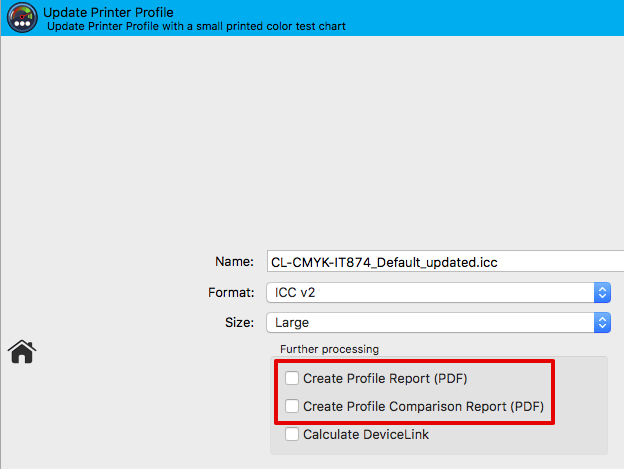 By activating this checkbox an ICC preview profile will be created in addition to the printer profile. It can be used as a soft proof profile in Adobe Photoshop. Notes: Preview profiles are only suitable for proofing purposes. Either a preview profile or a CMYK profile can be created in one profiling step, but not both. Embed profiles: Physically incorporates the used source and target profiles into the DeviceLink. This function is tricky and only recommended if the DeviceLink has to be transferred to a computer which does not have the required source and target profiles. It was implemented mainly for use with certain RIPs which only accept DeviceLinks with embedded source and target profiles. Save: Creates the printer profile and saves it in the folder Profiles (macOS) or Color (Windows), (macOS: /Users/Username/Library/ColorSync/Profiles, Windows: C:\\Windows\\System32\\spool\\drivers\\color). Demo and encrypted profiles will be saved in a different location only relevant for ColorLogic applications. Note: CoPrA-SP profiles are stored in the ColorLogic subfolder Licensed-Profiles. Preview profiles allow soft proofing of image files in DeviceLink profiling and Multicolor printer profiling, without converting a file. Multicolor preview profiles provide a true color representation of images to be converted into the Multicolor color space in order to review the achievable result prior to the actual Multicolor conversion (More information can be found further down in the text). The same applies to DeviceLink conversions. Here, too, the DeviceLink preview profile can be used in Photoshop with the original data to visually review how the result of such a conversion would look like. Preview profiles can be created together with DeviceLink or Multicolor printer profiles by activating the checkbox Save Preview Profile (see screenshots). Preview profiles have the suffix ‘preview‘ and are saved in the folder Profiles (macOS) or color (Windows), (macOS: /Users/Username/Library/ColorSync/Profiles, Windows: C:\Windows\System32\spool\drivers\color). Right clicking on the preview profile and selecting the menu entry Show file in the context menu will take you directly to the location of the selected profile. 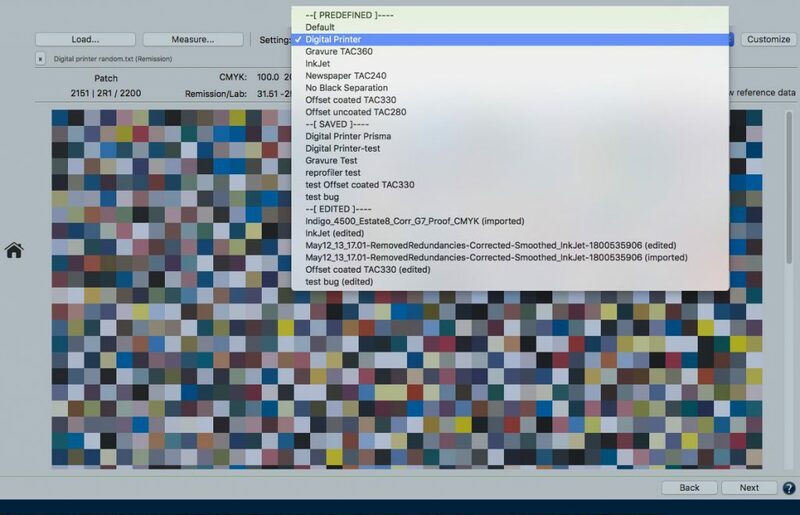 Creating preview profiles in Multicolor printer profiling. 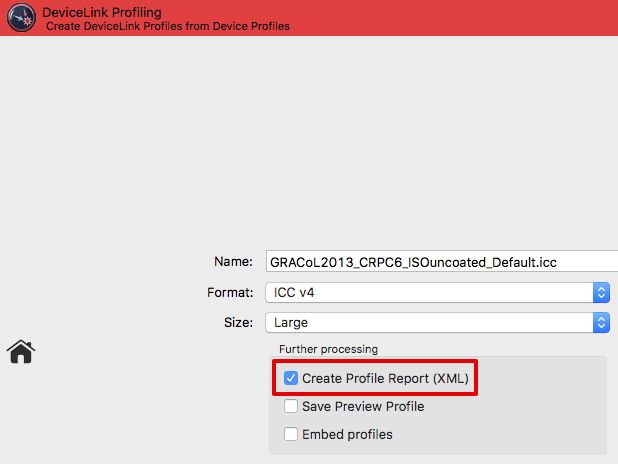 Creating preview profiles in DeviceLink profiling. Note: The creation of preview profiles is not available for DeviceLink profiles using more than four channels in the source color space since only preview profiles of the color spaces Gray, RGB or CMYK can be used in Photoshop. Multicolor printer profiles are not affected as their preview profiles are always RGB profiles which can be used in Photoshop. Example: To adapt your RGB image data in RGB mode to the desired CMYK printing condition, use the preview profile of your RGB-to-CMYK DeviceLink as soft proof profile in Adobe Photoshop to check how the image would look like after the conversion. This allows specific RGB adjustments without the need to convert the RGB file early on. A preview profile is a very useful feature, particularly in view of storing RGB image data in media-neutral workflows. Preview profiles can also be created for Multicolor printer profiles which allows a true color simulation of the color representation prior to application of the Multicolor profile. Although Adobe Photoshop CS4 or higher is able to convert image data using Multicolor profiles, the display of multichannel files is not a true color representation in Photoshop. So far, a true color representation of multichannel files is only possible using additional plug-ins and causes an increased workload. The preview profile function generates an RGB printer profile which features the same color visualization as the original Multicolor profile. Use this preview profile on an original image data for soft proofing. Note: Preview profiles are only intended for soft proofs and should never be used for the actual conversion. A preview profile provides an excellent visual preview of the expected result of a DeviceLink conversion. However, the special features of the DeviceLink, such as preserving color purity, cannot be 100% emulated. Open the original image data to be converted using a DeviceLink profile in Adobe Photoshop. Either assign the Preview profile from CoPrA to this image file, or select the Preview profile in the dialog Customize Proof Condition as Device to Simulate (see screenshot). Note: The color space of the preview profile is based on the color space of the DeviceLink’s source profile. It is an RGB preview profile for RGB-to-CMYK DeviceLinks and a CMYK preview profile for CMYK-to-CMYK DeviceLinks. Click Preserve CMYK Numbers to get a virtually exact preview of the expected color representation for the DeviceLink conversion. Note: Pipette values do not correspond to the final DeviceLink conversion. Only the color representation in the soft proof does. Open the original image data to be converted using a Multicolor printer profile in Adobe Photoshop (for example an RGB image). 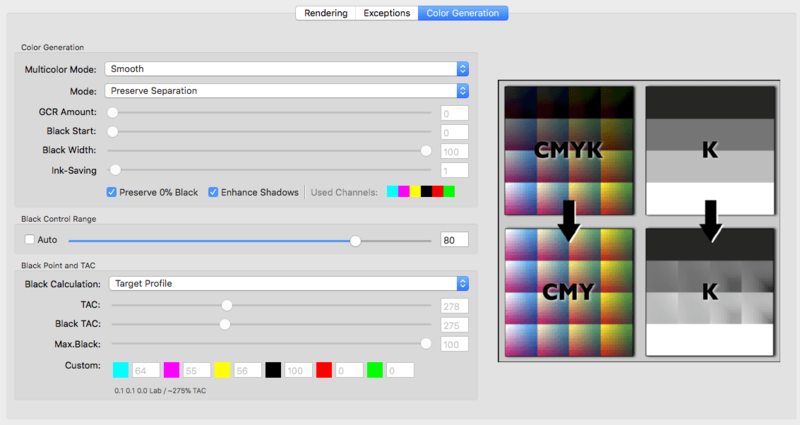 Select the desired Rendering Intent and disable the checkbox Preserve RGB/CMYK Numbers. Note: Eyedropper values do not correspond to the final DeviceLink conversion. This is only for a soft proof. Profile reports can be created for Printer or DeviceLink profiles. To do so, activate the checkbox Create Profile Report in the last step of the profiling or, when updating profiles, the checkbox Create Profile Comparison Report. Depending on the type of profile the report contains various statistical data, such as statistics about profile precision (Integrity, Precision, Black Point, White Point etc. ), graphic representations of curves and gamuts (Gray Balance, Gradients etc. ), conversions of test images, separations and color patches to evaluate the smoothness or the purity of colors. All this facilitates the detection of artifacts that may be present. 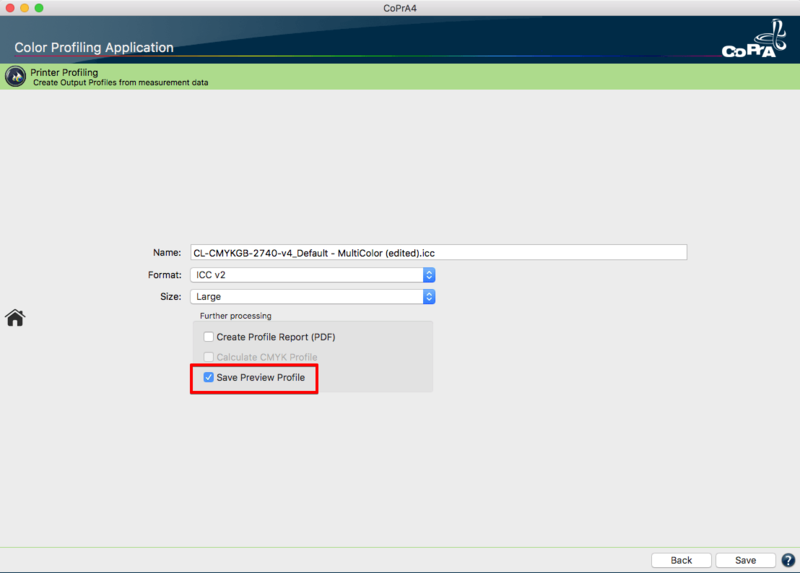 Profile reports can be created at any time in Batch Overview or in Profile Manager which, by the way, is not restricted to ColorLogic profiles. Under Preferences specify whether to create a PDF report with sample images or an XML report with pure data. Note: If a profile comparison report is created when updating a profile, the measurement data obtained from the update test chart will be compared to the data of the original profile (reference profile). If the checkboxes Brightener Compensation or Measurement Correction have been activated, the data of the original profile will not be compared to the measurement data from the update test chart but to the data modified by these options.